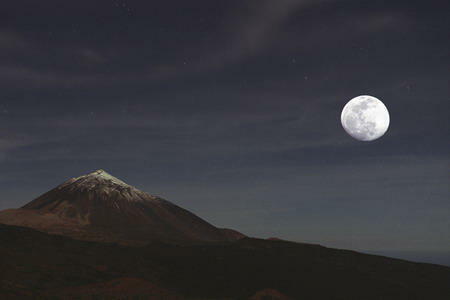 Romantic night tour to foot of the volcano Teide and Fortune Canyon by luxury Mercedes Benz limousine. The trip starts and ends at your hotel at any part of Southern Tenerife. We could pick you up from the North up to agreement. At the altitude over 7000 ft with one of the clearest skies in the world you will feel like on mysterious another planet. 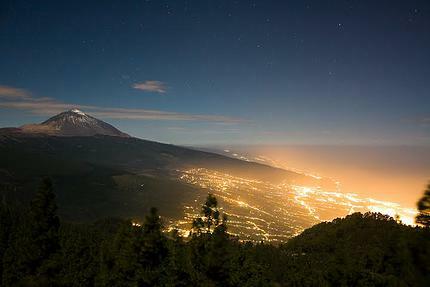 You will go to the foot of volcano Teide with a local guide-driver by luxury Mercedes limousine. Then we continue driving through the whole huge old crater to the Furtune Canyon, where you will enjoy views of the spectacularly illuminated La Orotava valley. If you’re lucky, we will also see the lights of other Canarian islands in the ocean. Then we will make a stop in a special place where we will meet sunset and you can be sure, it will the most beautiful and spectacular sunset you ever saw in your life. You can take a bottle of fine vine o champagne with you and also we recommend you to take at least a light jacket and warmer clothes, since temperatures at this altitudes at night could be very different from that what you can feel at the shore, especially at night. After the sunset the tour can be extended to stargazing as well. 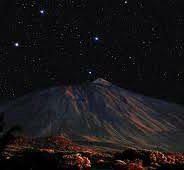 In this case we will return back to the crater and wait there for the complete darkness to see the magic starry skies over the Teide. That’s another unique thing during our tour, because there are just a few places in whole the world where you can see so many starts even without using telescope. The skies over the Teide is a home for Teide Observatory and sky here is one of the clearest in the world. That’s a reason why you can see so many stars here as you never seen in your life before. In order to make your booking of Teide Sunset Tour & Stargazing Private Tour easy and comfortable Tenerife Host use the most advanced and user friendly booking platform TripsPoint.com where you can easily check last actual prices, the tour availability, required booking deposit and book this tour. To get more information of Teide Sunset Tour & Stargazing Private Tour and do booking, please, click the button ‘Book Now’. You will be taken to the tour page at TripsPoint.com where you can easily book the tour. 299€ – up to 3 persons. 149€ – up to 3 persons. The price include the only our services, parkings and doesn’t include meals, drinks or entry tickets.